We want to provide you with the best BIRTHDAY PARTY? Looking for a New Jersey birthday party idea…or the best entertainment idea for any type of party in North or Central Jersey... one that makes you a hero, while making their special day easier on you Mobile X Game provides the ultimate no stress – no mess birthday party experience! We will make your next birthday party special, whether for a kid, or for a kid at heart. 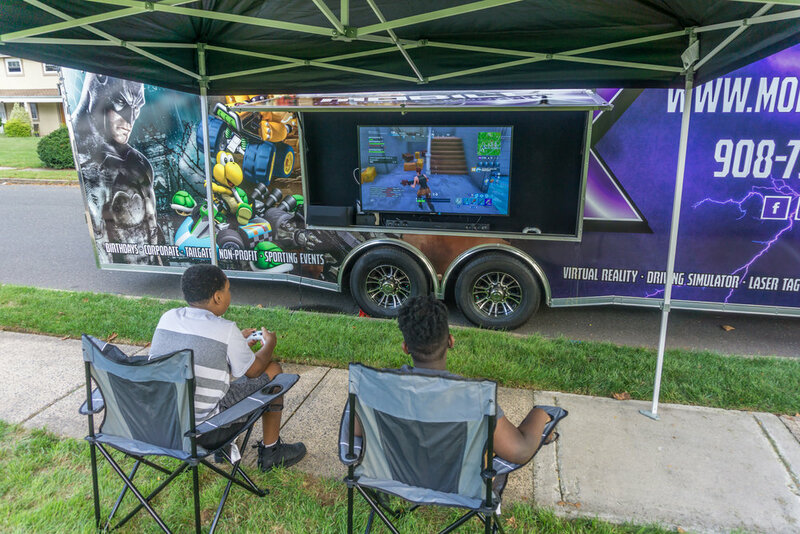 Your family and friends will be thrilled beyond compare when our 32’ limousine styled video game theater rolls up to your residence! 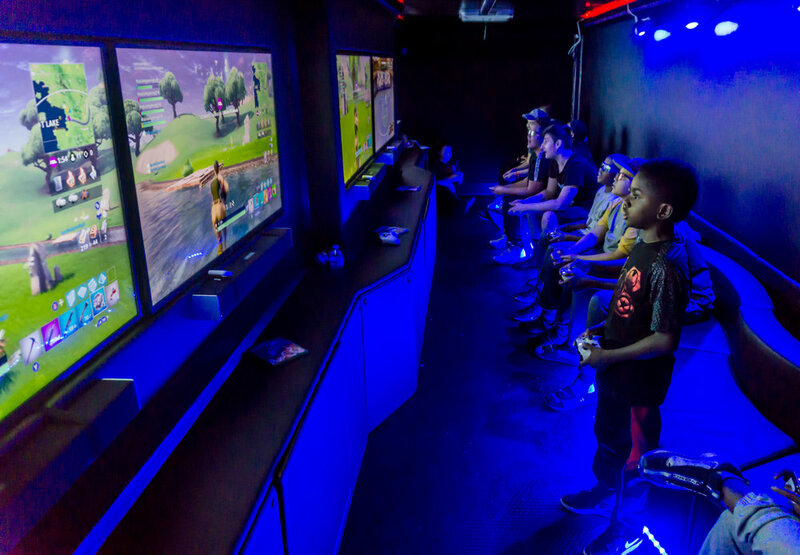 Inside our Mobile Video Game Theater, we provide comfortable seating for up to 26 with high tech video and audio, and (weather permitting) 28 kids can simultaneously play games at our seven gaming stations. Our mobile game theater is climate controlled, so we’re ready to party year round! Got your dance moves ready. Worried about video game ratings Don’t! We understand the importance of providing appropriate games for your party. When you book your party, you select games for your guests. You don’t need to worry or compromise; it’s our policy. See our games! Our trained staff knows how to keep the fun and excitement moving. If you are concerned about the number of kids in attendance, don’t be! We understand how to rotate our guests at different intervals so everyone has a great time. Typically a two-hour party is well suited for 30 for yours fewer kids. Have a larger party Ask us, and we’ll let you know options to ensure an awesome event! It’s So Easy to have the best birthday party in New Jersey! – After your party is confirmed and paid for, we’ll send you up to 20, high quality invitations, to mail to your guests. – Select the appropriate games for your party. Let us custom design the event you are looking for. Get the best ideas for a birthday party in New Jersey. We will make your kids birthday party with full of fun and entertaining with mobile X game. Contact us to make your events awesome!